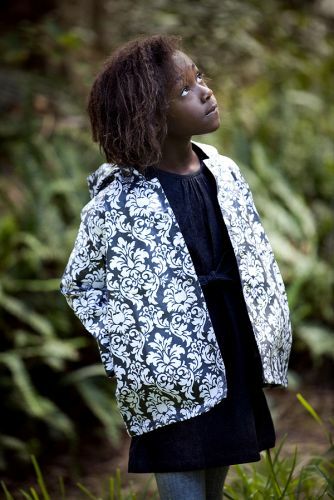 This is a stunning raincoat perfect for the little fashionista. It looks lovely with just about any colour rain boots. The jacket has press studs for ease of fastening and a hood to keep little faces dry. The jackets are cotton lined for comfort. 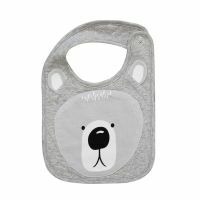 Made from laminated cotton that simply wipes clean. The Aunty Ollie philosophy is to create stylish clothes for babies, children (and now, ladies!) that make everyday life more gorgeous: whether it’s lazing around the house, playing at the park, or busting some moves at a friend’s birthday party! The Aunty Ollie range is fresh and quirky without being kitsch, and is focused on fantastic, often vintage-inspired prints. They are committed to offering high quality clothing with excellent quality fabric that machine washes like a dream.